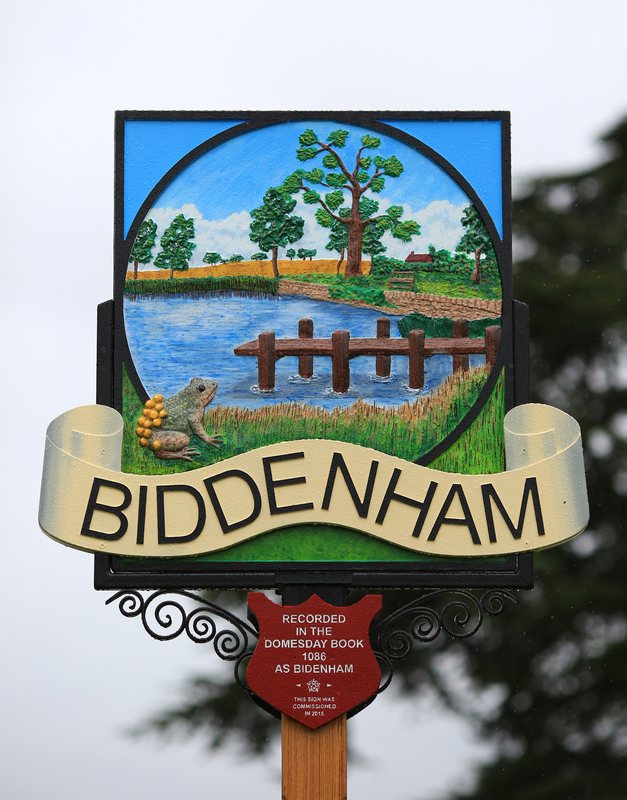 Work commenced at the Bromham Road/Deep Spinney roundabout end of the new Bedford Western Bypass on Thursday, 16 October 2014. 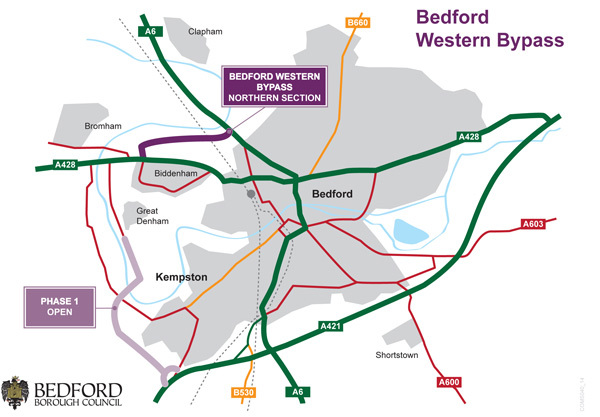 This phase of construction is the final link of the Bedford Western Bypass that links the A421 at Marsh Leys, Kempston to the A6 near Clapham. The road will provide the northern section of the Western Bypass linking the A6 Bromham Road/Deep Spinney Roundabout junction with the A6 Paula Radcliffe Way/A6 Clapham Road Roundabout junction and includes a bridge over the busy main rail line. November approaching fast, the good weather allowing the early work to continue apace by the earth moving equipment – the main roadway (off the Bromham Road/Deep Spinney roundabout) clearly outlined as it bears right towards the A6 Clapham Road roundabout. Work progressing fast in the fine late October weather, long may it continue. Photos showing evidence of work at the A6 Clapham Road roundabout, early ground works opposite Biddenham Turn and a further expansion of work at the Bromham Road/Deep Spinney roundabout. The last day of October 2014 – the fine weather goes on and progress continues unabated on the bypass. 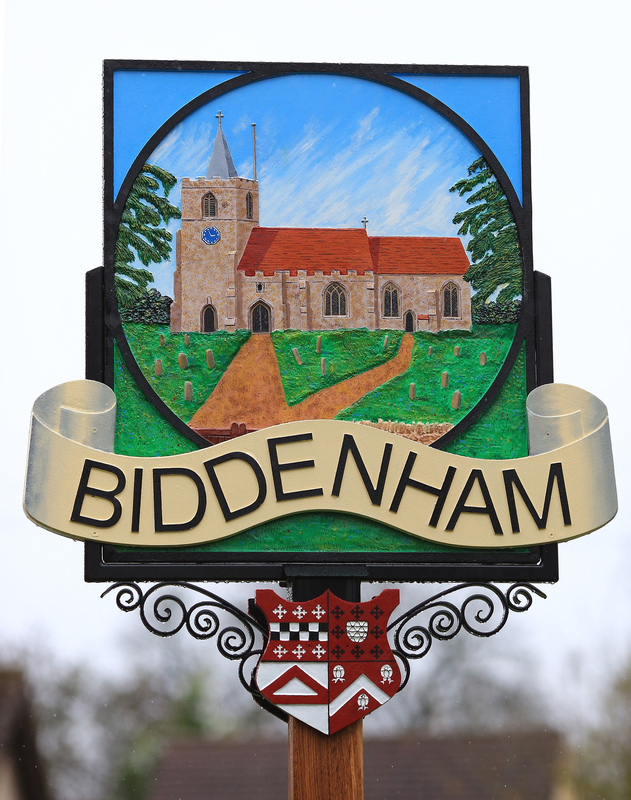 The site head offices are installed on the corner of Bromham road and the Bromham Road/Deep Spinney roundabout.